The speed of technological progress in the field of musical equipment is simply astounding. 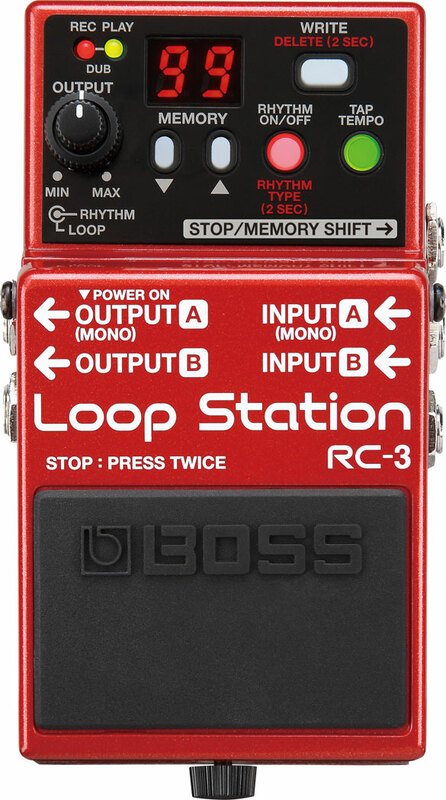 Boss have introduced their new, extremely compact looper pedal – the RC-3 Loop Station – which offers a whopping three hours of sampling time in 44.1 kHz/16-bit linear wave-format. One of the RC-3’s coolest features is the way the pedal instantly synchs up loops that were recorded “freehand” (without a click, that is) with its internal drum machine. Everything happens on-the-fly without missing a beat. 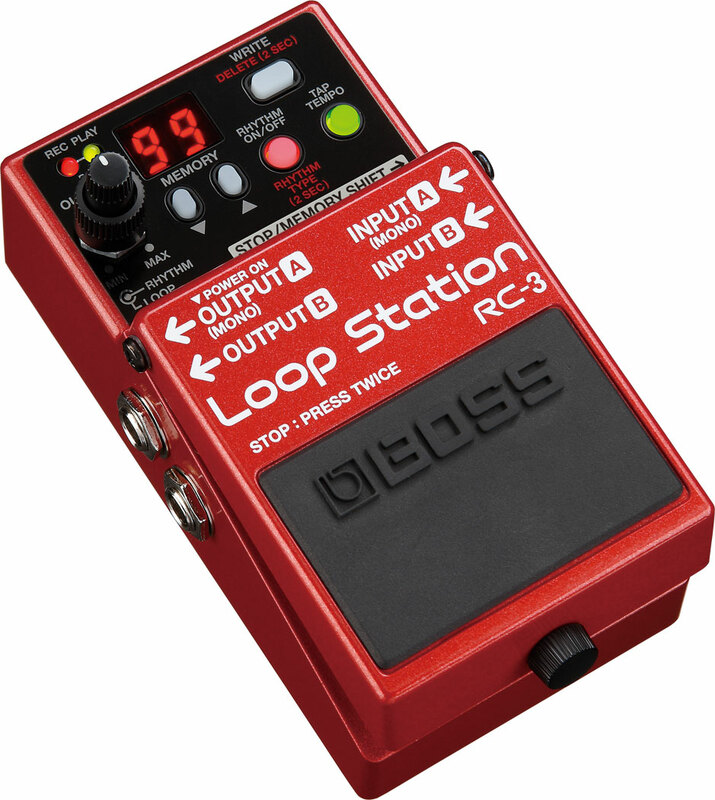 The Boss RC-3 can also be used to “fly in” one-shot samples into your performance. This means you could fly in a dive-bomb sample while playing a guitar solo on a stop-tail guitar, for example.